Abbi Jacobson is a famous name who has gained name and fame as a comedian, writer, Illustrator, and actress. This versatile personality is known for her work on the Comedy Central series Broad City, where she worked as a co- creator and also co-starred in this web series. Jacobson is considered as one of the rising stars in Hollywood who has been active in the industry since 2009. 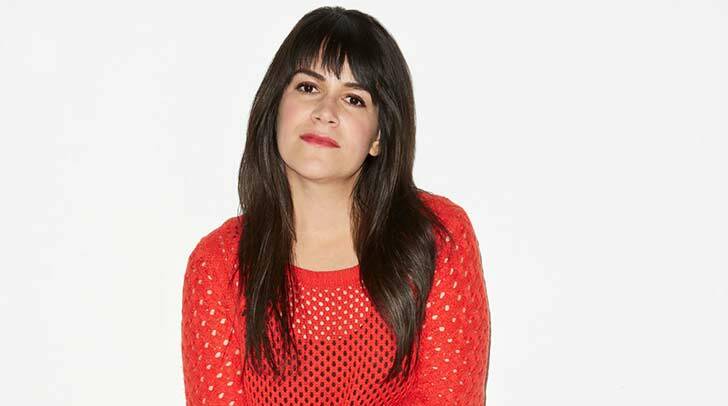 Talking about her early life, Abbi Jacobson was born on February 1, 1984, in Wayne, Pennsylvania, the United States as the daughter of Susan Komm and Alan Jacobson. Her mother Susan is an artist whereas her father Alan is a graphic designer by profession. She introduces herself as a Jewish. She was grown up in her birth town and attended Valley Forge Middle school and Conestoga High School and completed her high school education. She joined Maryland Institute College of Art where she completed her study in fine arts and video production. She also studied acting for a short period of time in Emerson College and also learned stand-up comedy with poet Jeremy Sigler for a year. In 2006, she graduated from MICA and then traveled to New York chasing her dream to become a successful actress and comedian. In New York, she took classes at the Atlantic Theater Company and the Upright Citizens Brigade Theater. During her stay in New York, she became close with Ilana Glazer, another American writer, and comedian. In between 2009 and 2011, Focusing on their lives in New York, Abbi Jacobson and Glazer worked in web series titled Broad City, where they wrote and performed together. This series received a nomination in ECNY Award under Best Web Series Category. In 2011, their script was purchased by cable network FX for the series. However, network rejected the script and stopped to work with Jacobson and Illana. Later Jacobson and Ilana made an agreement with Comedy Central. In 2014, Broad City was premiered on television and was appreciated well widely. Broad City received positive reviews from critics and got high ratings which led it to become a Comedy Central’s highest-rated first season since 2012. In 2011, Jacobson worked as a writer in a show called Welcome to Camp. She also performed in the show which ran in Los Angeles and New York. She has also authored two books named Color This Book: New York City and Color This Book: San Francisco. Coming to this far, there has been no any information about her relationships and affairs. Abbi Jacobson might have been dating someone secretly but has not spoken a single word on it. Jacobson has been successful in keeping her personal life entirely private from media. Being a dedicated and hard working actress, she has earned $1million net worth. To get more information on this talented comedian, she can be followed on twitter, facebook, and Instagram.